SE Alaska wood is a business to supply artists, contractors, designers, and architects with salvaged and fresh wood products from the forests of South East Alaska. Our operation will include a full service shop including mills, kilns, resaws, planers, molders and support equipment. We will be using our many years of experience and markets from running Nwwood.com in Tacoma WA to develop and expand this buisness over the next few years. 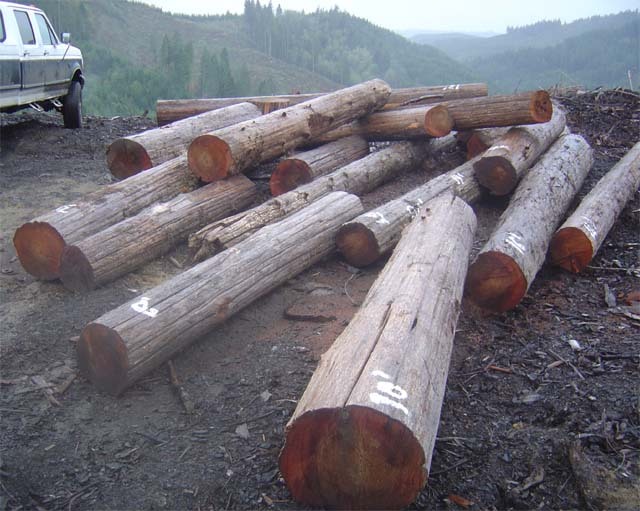 Our specialty has been, and will continue to be, to provide high quality wood products from salvage sources. 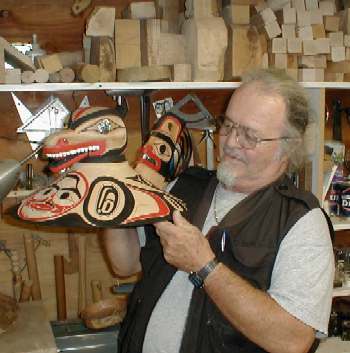 We have a long history of working with native carvers on many projects including faciting totem poles, laminating carving pannels, providing carving blocks, and paddle blanks. We have also have a history of working with designers, contractors, and architects on many large scale projects throught the North West including, sawing and drying wood for Tables for the University of Washington, multiple projects for Pacific Lutheran University, drying and sourcing additional wood for a sculpture project for Seattle Meuseum of History and Industry (Installed fall 2012), and providing custom cut wood used in the Portland arieal tramway project, to name a few. 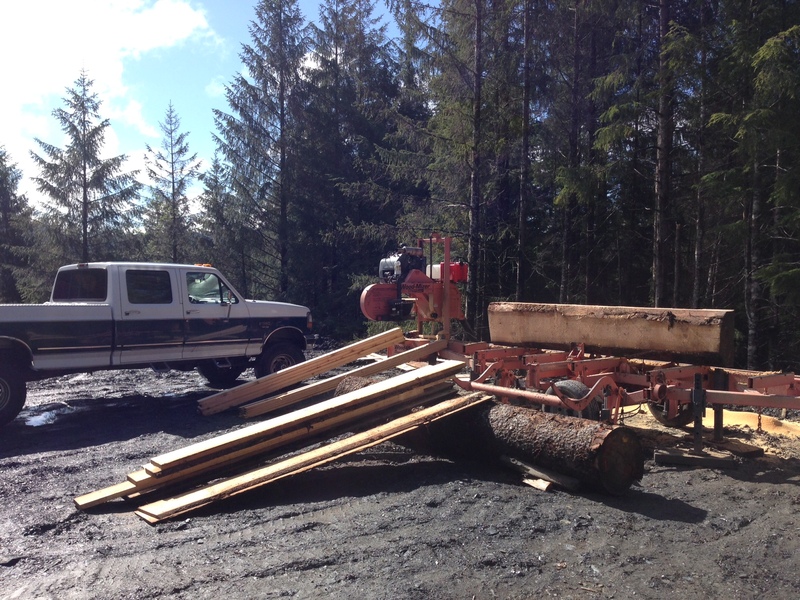 We Now have a mill setup in the Petersburg area and are available for custom cutting of your logs and have some spruce and yellow cedar available. 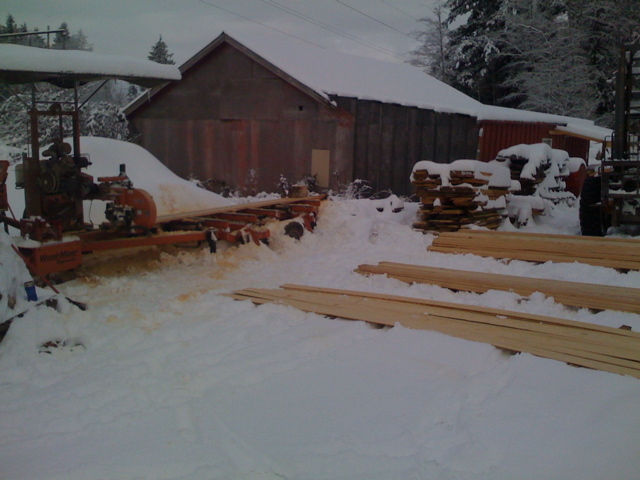 We are taking orders for yellow cedar, spruce, and hemlock that we will resume cutting in May as the snow melts and the logs from our timber sale get in the mill yard. Phone (907) 650-7627 for Wood Questions. It is usually better to use text messaging to reach me as it is sometimes hard to hear the phone.